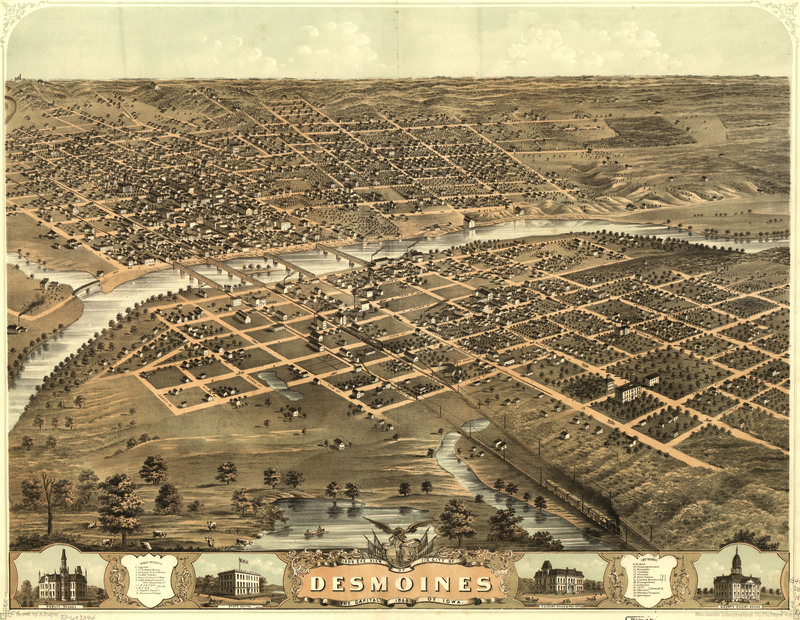 A. Ruger's Birdseye map of Des Moines from 1868. This map isn't part of any series, but we have other Iowa maps that you might want to check out. This birdseye map of Des Moines, Iowa [gmap] was made in the second full year of Ruger's mapmaking career, and it's already exhibiting the touches that would define his style for the next 20 years; a handsome composition with an modest but ornate and entirely unobtrusive collar, fantastic water effects, and a mastery of creative interpretive “bending” of the rules of perspective.. 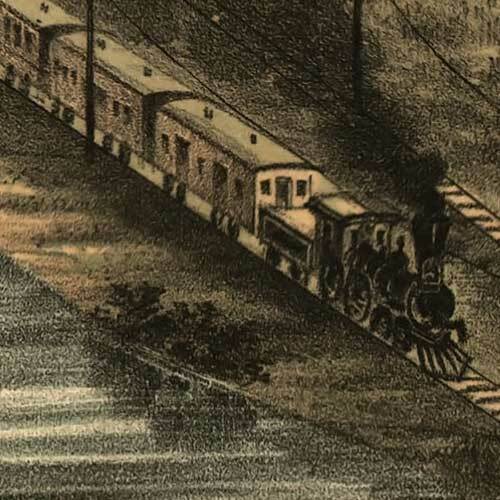 It would seem as though he burst into the scene and hit the ground running; like Athena - fully-formed, and with his considerable talents already actualized.